Did you lose money investing with Charles Fackrell and LPL Financial? If so, the securities attorneys at The White Law Group may be able to help you by filing a FINRA Arbitration claim. According to reports, the state of North Carolina has fined LPL Financial $25,000 and ordered the broker-dealer to reimburse the state $270,000 for the cost of investigating a $1.4 million Ponzi scheme related to former broker Charles Fackrell. As we told you in December, Fackrell of Booneville, NC was sentenced to more than five-years in prison for running a $1.4 million Ponzi scheme that operated under the name Robin Hood. Allegations claim that from May 2012 to December 2014, Fackrell ran a Ponzi scheme that misused funds from at least 20 clients when he was a broker registered with LPL. Fackrell has 15 disclosures listed on his Broker Check report, including customer disputes alleging unsuitability, misrepresentation, excessive and unauthorized trading, forgery and selling away. The White Law Group continues to investigate the liability that LPL Financial may have for failure to properly supervise Fackrell. 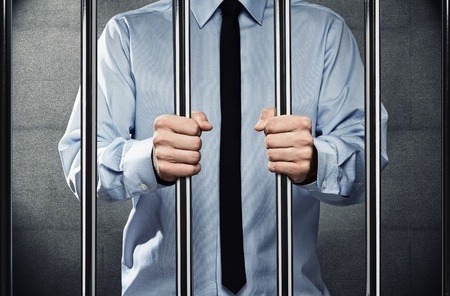 FINRA reportedly barred Fackrell from the securities industry in February 2015. In April 2016, Fackrell reportedly pleaded guilty to one count of securities fraud. After Fackrell is released from prison, he will reportedly serve three years under court supervision and pay almost $820,000 in restitution to clients. If you have suffered losses investing with Charles Fackrell and LPL Financial and would like to speak to a securities attorney, please call The White Law Group at 1-888-637-5510 for a free consultation.